Time and time again we see patients who have let their fracture go untreated for far too long. 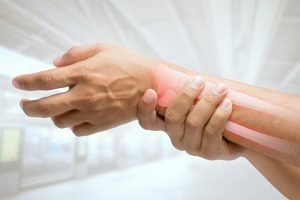 Most fractures occur as a result of an obvious injury, but a person’s toleration for pain varies and the decision to seek medical treatment after an incident isn’t always an easy one. The majority of patients who let their fracture go untreated typically think their injury is just a sprain that will heal with time. 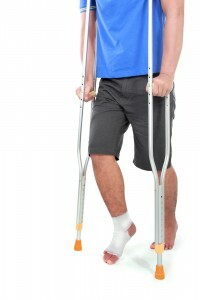 At Orthopaedic Associates of St. Augustine this is not a mindset we recommend to patients. The signs and symptoms of sprains and fractures are very similar and it often requires an X-ray to make the correct diagnosis. Our Sports Medicine Center is made up of some of the most experienced and trusted orthopaedic specialists in Jacksonville, St. Augustine and surrounding areas. Through mobility tests and X-rays we’ll evaluate your injury and get you the treatment you need to recover. If you have suffered an injury and notice any of the symptoms mentioned above, it is important to see a doctor as soon as possible. Failure to properly treat a fracture in a timely manner can result in a number of complications. Such complications are preventable as long as you receive treatment in a timely manner. The best decision you can make following an injury that might possibly be a sprain or fracture is to have it properly evaluated. Request an appointment online or call us today at 904-825-0540 to receive the treatment you need. Board Certified by the American Board of Orthopaedic Surgery. Dr. Stark specializes in treating hand, wrist and elbow trauma.